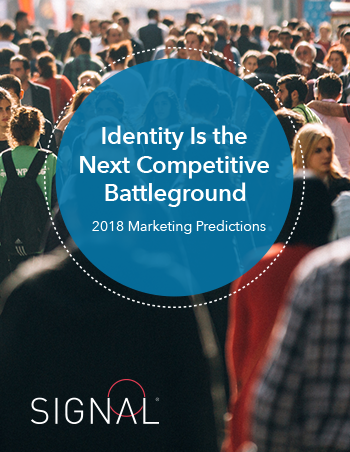 In 2018, identity is poised to revolutionize digital marketing. Don’t get left behind. See all 5 of Signal’s 2018 predictions and recommendations in this report. Key digital marketing trends for 2018. How brands can leverage their data and take control of their future. Why companies are reinventing themselves as identity companies.